Currently, you can only do this on the web. 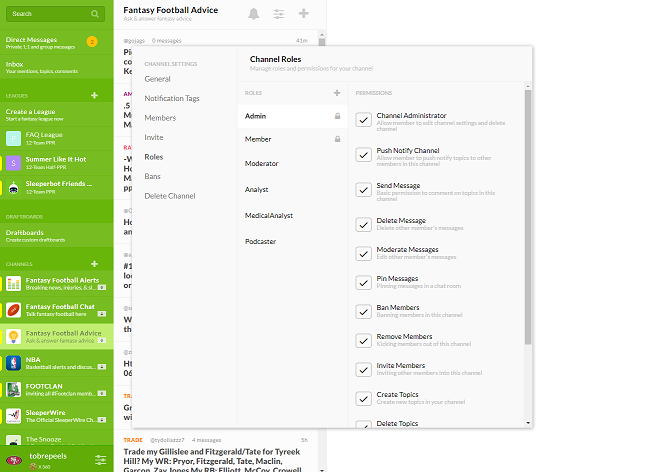 Click into your channel settings, and click “roles” to create new roles for your channel. You can then add or delete roles and set permissions for each role. You will be able to ascribe permissions like posting, push notifying, editing and deleting comments, and moderator tools to each role as you see fit.